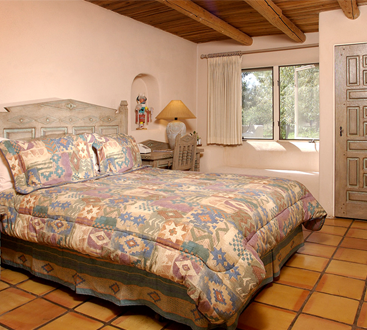 The Rivera is another of the hacienda’s original rooms and has several oil paintings by James Mac, a local artist who has provided many pieces of art for our bed and breakfast. The suite has a king-size bed with down comforter for those cold nights. 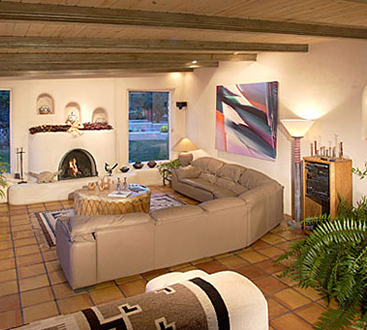 Step down into a sunken sitting area where a peach colored leather sofa invites you to enjoy a cozy fire from a kiva fireplace built and designed by Carmen Velarde, a well-known local whose adobe fireplaces grace many homes. A large picture window showers the room with warm southwest sunshine. The suite has a large private bath with an eight-foot hand carved vanity. Accommodations include television and telephone. 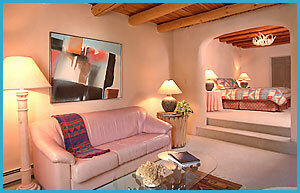 Why choose a standard Taos hotel when you can enjoy the southwest hospitality of our B&B? 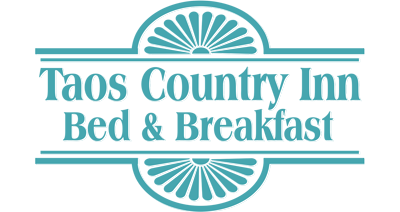 Book your stay at our bed and breakfast by clicking the link below!